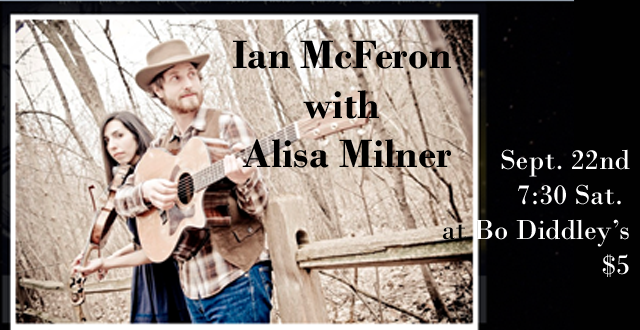 McFeron and fiddler/cellist/vocalist Alisa Milner. 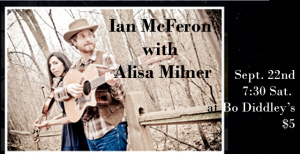 McFeron’s songbag draws on “blues, folk, pop, gospel, alt-country, and jazz.” Milner comes from the Texas-style fiddling tradition and numbers among her influences Stephane Grappelli, Vassar Clements, and Mark O’Connor. conversation is allowed during the show.